The story of Ariadne in Greek mythology is in essence a simple one, for it is a tale of love, love lost and a new love found, but the tale of Ariadne is also an ancient one, with many versions have been told over many centuries. 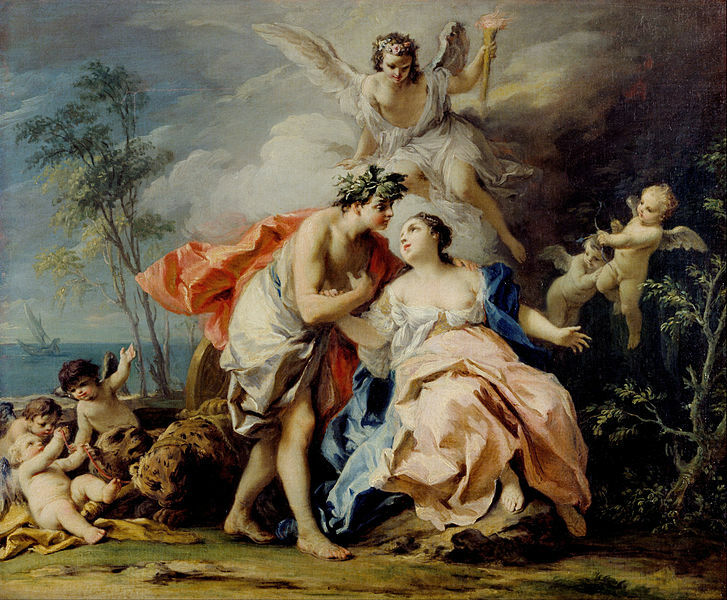 The story of Ariadne begins upon the island of Crete, for Ariadne was daughter of King Minos, normally said to have been born to Minos’ wife Pasiphae. Thus, Ariadne would have many siblings including Androgeus and Deucalion. . Nothing is said about the childhood of Ariadne for the Cretan princess only comes to prominence years later after Minos has subjugated the city state of Athens, with King Minos demanding tribute from Athens. This tribute came in the form of human sacrifice in the form of 7 youths and 7 maidens, sacrifices that would be made to the Minotaur. Eventually, the Athenian prince Theseus would arrive upon Crete as one of the sacrificial youths, and for Ariadne, it was a case of love at first sight, as Ariadne spied the new arrival from a distance. Ariadne would approach Theseus and promised to help the Greek hero to overcome the Minotaur in its labyrinth on the condition that Theseus would marry her, and take her back to Athens. When Theseus readily agreed to wed the beautiful Ariadne, and swore an oath to do so, the daughter of King Minos requested assistance from Daedalus the master craftsman who had designed the Labyrinth. Following the instructions of Daedalus, Ariadne would give to Theseus a ball of thread, so that by tying one end to the entrance of the maze, Theseus could always navigate back to his starting point. Ariadne also gave Theseus a sword, a sword which the hero would successfully use to kill the Minotaur in its lair. Theseus would gather up Ariadne and the other Athenians and set sail from Crete on the vessel that had brought the sacrifices with all haste. The journey from Crete to Athens was a long one and Theseus’ ship would stop off upon the island of Naxos. 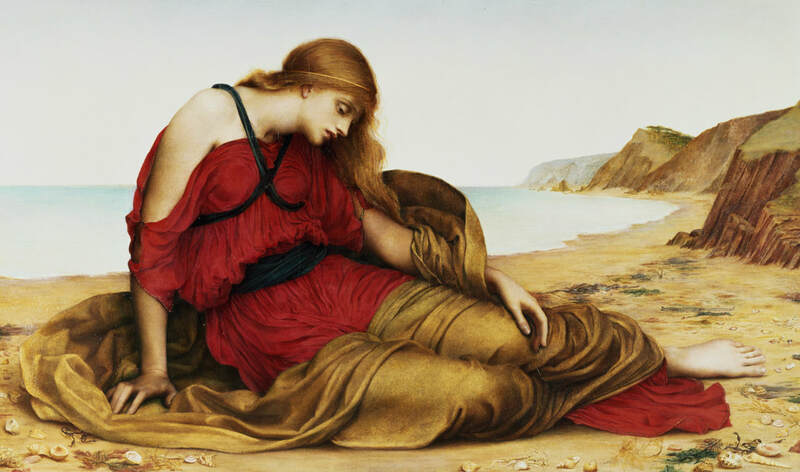 On the island of Naxos, the life paths of Ariadne and Theseus separate, for Theseus would travel onwards to Athens without the Cretan princess. The reason for this separation is normally put down to the intervention of the Greek god Dionysus, who having spied the beautiful Ariadne decided to make the princess his wife. Thus, Dionysus came to Theseus and told the Athenian to leave Naxos without Ariadne. Now it most commonly said that Dionysus ordered or encouraged Theseus to leave Ariadne behind upon Naxos but it was also said by some that Theseus left Ariadne behind through no instigation of the god. In this case Theseus might have been worried about the possible reaction of the Athenians if he were to bring back a Cretan, and daughter of Minos, to be their future queen. Or perhaps Theseus was worried about trusting a woman who was all too willing to betray her own father. Alternatively, perhaps Theseus did not plan on leaving Ariadne behind, with the couple being separated because of a storm that blew Theseus’ ship away from Naxos, whilst Ariadne was on the island. The island of Ariadne’s abandonment is normally identified as Naxos, an island also called Dia, but as the name Dia means divine, the name is also used to many other Greek islands. One such island called Dia, is only a few miles off the coast of Crete, and so events in the Ariadne story are sometimes placed on this island, but equally the island of Cyprus also appears in some storytellers tale of Ariadne. ​The most romantic versions of the story of Ariadne tell of Dionysus marrying the princess as soon as Theseus had departed from Naxos. 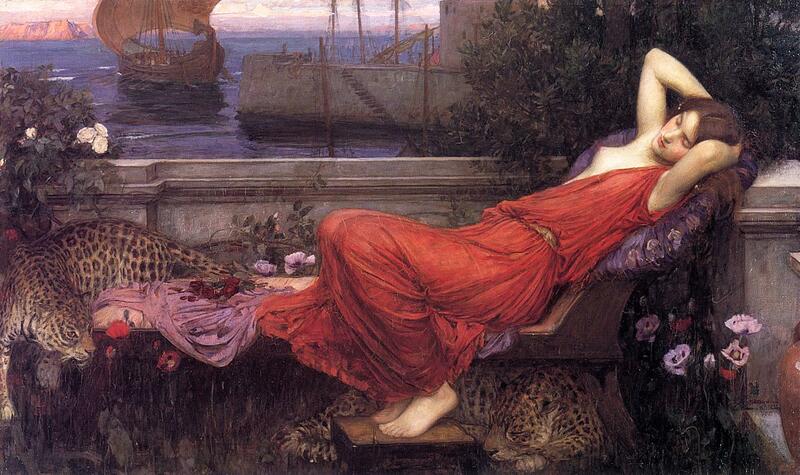 There are though many dark versions of what happened to Ariadne left. One version tells of Ariadne hanging herself when she found that Theseus had abandoned her, whilst others say that Ariadne was killed by the goddess Artemis, at the behest of Dionysus, perhaps because Theseus and Ariadne had made love in a grotto or cave sacred to Dionysus. Now if Ariadne did die, then some tell of how Dionysus descended into the underworld, and brought Ariadne back to the world of the living, just as he had done with his mother, Semele. Presuming that Ariadne and Dionysus did become a couple then it was said that Zeus granted Ariadne immortality, thus the daughter of King Minos lived for ever, never aging a day. 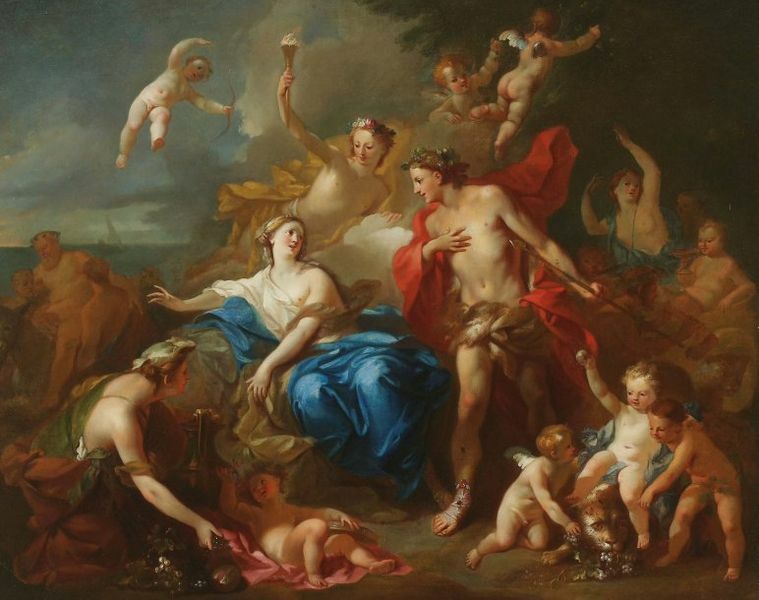 Ariadne and Dionysus would wed, and as was the norm the bride received gifts from other deities, amongst the most notable of these gifts was the Crown of Ariadne, a gift from Aphrodite and the Horai. The likeness of the crown would be placed amongst the stars as the constellation Corona. After marrying Dionysus, was normally depicted in the presence of her husband, either with him upon Mount Olympus, or present at the ritualistic events associated with the god. Ariadne would become mother to Oenopian, Staphylus, Ceramus, Peparethus, and Thoas, each of whom was primarily thought of as sons of Dionysus, although Oenopian and Staphylus were occasionally named as sons of Theseus and Ariadne. Staphylus would live on Naxos but also benefited from the patronage of Rhadamanthys, for the son of Ariadne became one of Rhadamanthys’ generals. Peparethus would become king of the island that would then bear his name. Thoas would also receive land from Rhadamanthys, for he was given the island of Lemnos over which Thoas would rule, before subsequently becoming the king of Tauris, where he was encountered by Orestes.